Established in 1963, STA has been serving and supporting the growth of Sabah’s tourism industry. 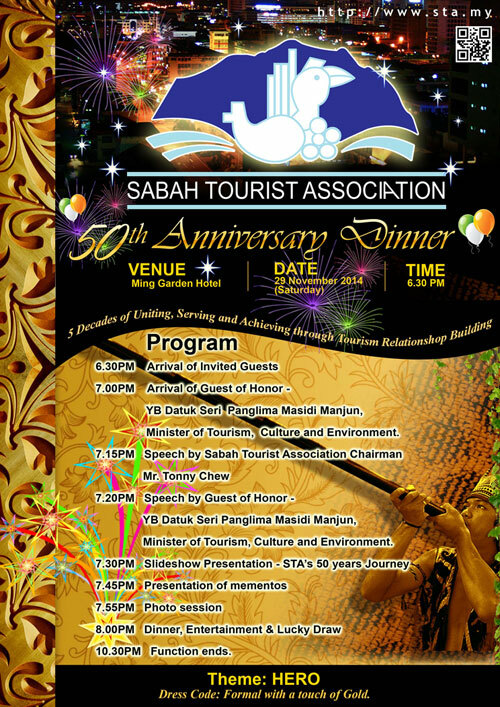 It has been fifty proud and fulfilling years as the association rallied with the various stakeholders to develop the tourism industry in Sabah into a vibrant industry today. We would like to invite you to be a part of this historic night. Tickets are available on sale now. Many exciting programs have been lined-up for the night. Your participation and contribution will make this an even more joyous and memorable night.